Boasting eminent alumni, AAU’s Bachelor and Masters degrees in Game Design and Animation & Visual Effects attract top talent from across the nation and world. Additionally, the university offers online degree programs for working professionals. Rigorous coursework in areas such as 3D modeling, prototyping, storyboard and character design enable students to compete in an ever-evolving, highly competitive industry. Christopher Schenck, himself a graduate of the university, is the Director of the School of Game Design at AAU. He spoke with us about the opportunities that the academy offers its students and alumni. ACR: In today’s world, many college graduates struggle to find work following their degree. In such a competitive industry, do AAU’s connections with notable industry professionals and alumni serve as advantages for your graduates? CS: Yes, the advantages of these relationships are numerous. For example, the Game Design Department’s Spring Show winner from 2009 landed an internship based on his work seen in the show by VIP industry guests. He interned at Digital Domain and also got an offer from Bioshock. He now has a permanent position in Austin. Likewise, the Academy currently has interns placed in Massive Black, Digital Monkey, Lucas, Crystal, and other shops locally both big and small. In addition to internships, which often turn into real employment, our Spring Show’s game panel and other special events give Academy students a distinct advantage when it comes to visibility in the industry and opportunities to be seen and get real feedback from peers. Some of the guests we have had on campus recently include Daniel Dociu, Glen Schofield, Margaret Foley-Mauvais, Teagan Morrison, Lorne Lanning, Dave Taylor, and more. In addition, most of the teachers are or have been involved with the local industry and have connections to the industry. ACR: Speaking of the annual Spring Show, this event showcases the astounding talents of AAU’s diverse students. How do students benefit from having such an event on campus that attracts a wide industry audience? CS: Students from every school and every level are invited to participate in the Spring Show. The show, primarily for graduating students to meet up with industry representatives, is judged. The very best work is displayed for industry and the general public to see. Networking, portfolio reviews, and even jobs offered on the spot have been a regular part of the spring show. This is a unique and powerful way to be seen and the Academy has the ability to bring literally hundreds of leading professionals from all over the country to see our work. Three of our students were hired this year subsequent to interviews with visiting industry at this year’s spring show, and this is only a small part of the impact this event produces. ACR: Technology changes rapidly in Game Design, Animation and Visual Effects. With it, so do job qualifications. What can students expect by way of working with the latest technologies at AAU? CS: New technology is constantly being assessed and added to the curriculum. Advisors from the industry are invited to the school to help assess changes in technology. We use all the current software and hardware so that our students are working with the very same technology as industry leaders. Academy facilities are cutting edge and our machines can make anything that a AAA studio can make. ACR: The Academy offers Master’s programs in both Game Design and Animation. Can the MA coursework be done on a part-time basis by working professionals? CS: An MFA degree can be achieved on a part time basis- yes. Anyone with the drive and determination to do what it takes can come into the Graduate Program. We have graduates in the program from literally all over the world and from many different backgrounds. Our diverse student population gives us an edge and a community from which great things emerge. ACR: Switching gears, Academy of Art U offers unique pre-college programs designed for aspiring high school students. Why are such courses important to high school students and who should consider taking them? CS: Those high school age students who show aptitude and interest in a career in the arts are perfect for our pre-college classes. Students in these classes get hands-on experience with professional tools and techniques and it gives them a taste of what college life will be like. This is an excellent tool to engage a young creative mind and set them on the right path to a career. The program shows students with an interest in art that there are a variety of career paths available to them. 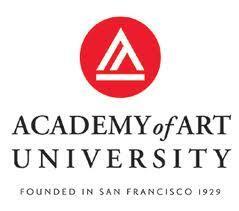 ACR: Christopher, thanks for answering a few of our questions today about The Academy of Art University.